We've got a gorgeous color combination for you for this week's Color Challenge. 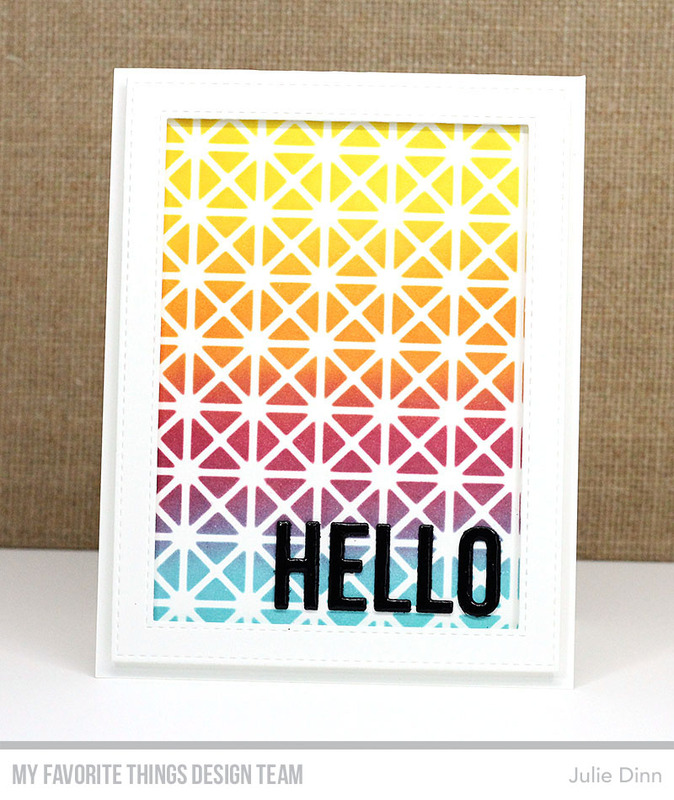 I grabbed the new Framework Stencil, the four colors of ink, and a few Blending Tools and created this bright and cheery card. The sentiment was created with the new Happy Greetings Die-namics. I finished off the card with a Stitched Rectangle Frame.